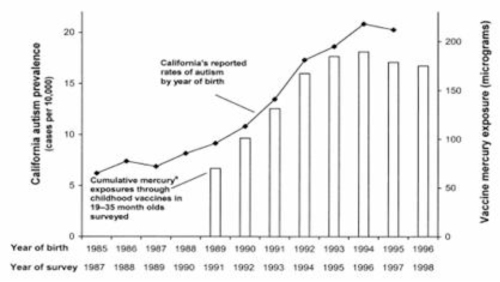 The phased introduction of the Hib vaccine in 1985-1990 and the universal introduction of the HepB vaccine in 1991 correspond closely with the epidemic increase in autism prevalence. A history of the issue with thimerosal-containing vaccines. 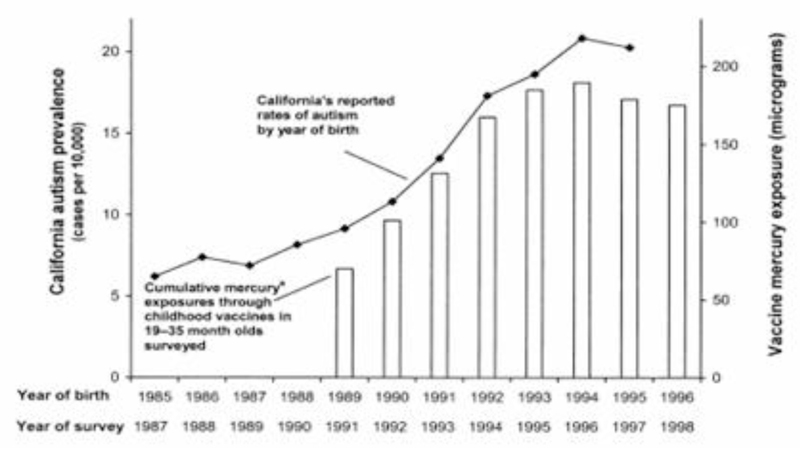 The graph below shows a correlation between introduction of these mercury-containing vaccines (thimerosal is the name for the ethylmercury preservative in vaccines) and the rise in autism prevalence. 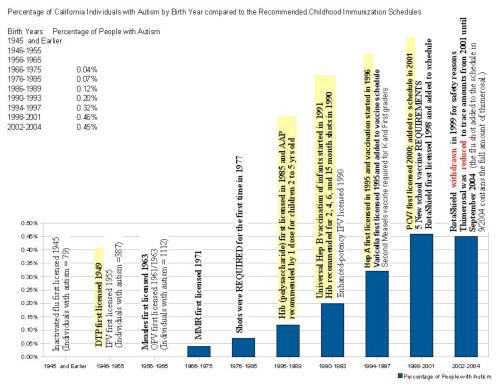 The graph below from The Vaccines Risks vs. Benefits Blog shows a correlation to autism prevalence increases and introduction of new vaccines. 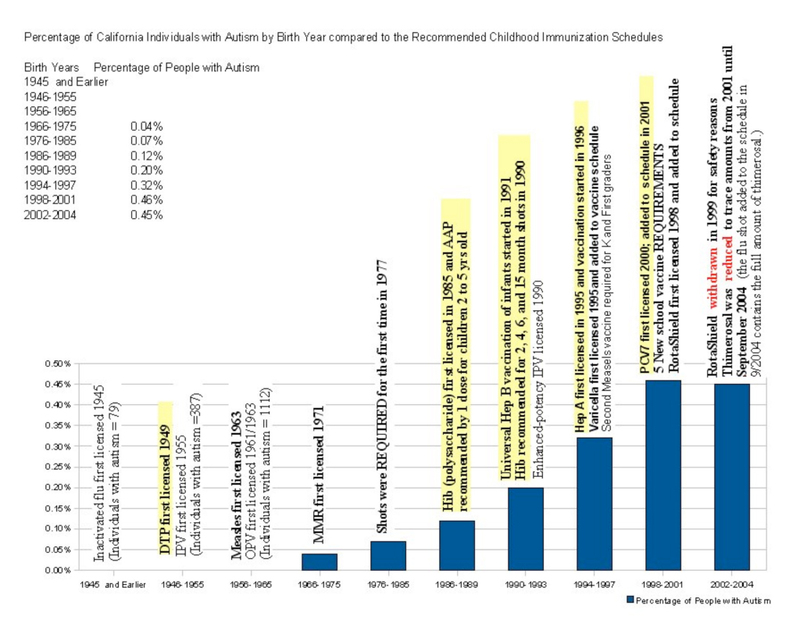 Interestingly, it shows there was no increase in the autism percentage rate from 2002-2004 when no aluminum-containing or live-virus vaccines were added to the recommended childhood immunization schedule. 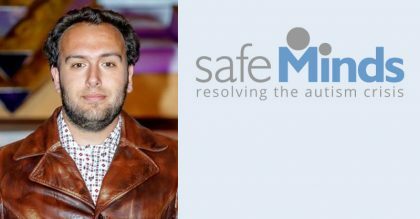 This website has information on when aluminum-containing vaccines were introduced and the biological plausibility of aluminum injected in vaccines being a contributing factor to autism.